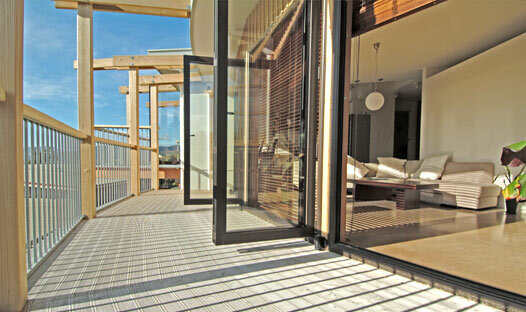 Powered Living homes are designed to have a very close relationship with our most powerful natural resource  the sun. These homes are solar powered. The polished concrete floor acts as a huge heatstorage cell for radiant heat. It is capable of storing the equivalent of 20kWh of electrical energy – or 20 oil heaters burning continuously. Your home is also naturely passively ventilated through the wonderfully tall central clerestory roof.